To be used with 24" or 30" SCA or DCA mounting sets. 1 banner @ $90.00 ea. 3 banners @ $85.50 ea. 6 banners @ $82.50 ea. 9 banners @ $81.00 ea. 12 banners @ $79.20 ea. 15 banners @ $76.50 ea. 18 banners @ $74.70 ea. 24 banners @ $72.00 ea. 30 banners @ $67.50 ea. Colors are sewn & appliquéd to white base fabric. 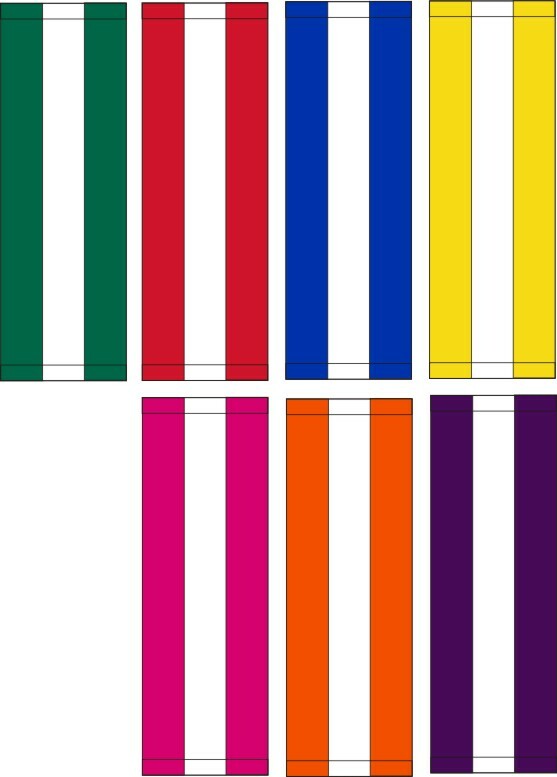 Pole hems are either white or in colors. You can purchase these designs or a custom design of your choosing. Call us for details.